(Bloomberg) -- Singapore seized its biggest-ever haul of pangolin scales in a sign that the endangered animal is being hunted to the brink of extinction. About 26 tons of scales worth $77 million were seized, more than what is generally caught globally every year and the potential result of the killings of more than 40,000 of the endangered animals. 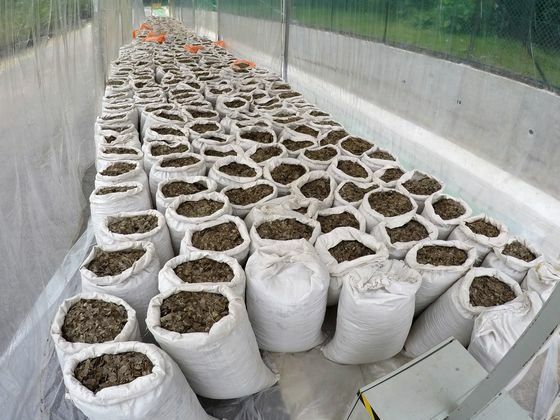 Inspectors found a container carrying 12.9 tons of pangolin scales packed in 230 bags and marked ‘frozen beef’ on April 3, according to a joint statement by the National Parks Board and Singapore Customs. Five days later, a shipment with 12.7 tons of scales was seized from a container supposed to be carrying cassia seeds. Before the recent seizures, Singapore had caught just a total of 440 kilograms of the mammal’s scales in 2015 and 2016. The massive haul, more than two-and-a-half years after 180 countries signed a treaty to end all legal trade of pangolins to protect the species from extinction, indicates growing risks for the shy, nocturnal animal found across Asia and Africa. The world’s most trafficked mammal is killed for its meat, which is considered a delicacy in countries like China and Vietnam. The animal’s body parts are used in traditional medicines and folk remedies, according to the Washington D.C.-based World Wildlife Fund. ”It was estimated that on average 20 tons of scales were being smuggled each year,” Crawford Allan, senior director at TRAFFIC, a wildlife trade monitoring network jointly set up by WWF and the International Union for Conservation of Nature, said in an email. “Already, in 2019 we have seen nearly twice that being detected and seized. And those are just the shipments that get detected." In Asia, poaching has decimated the numbers of pangolins, the only mammals wholly covered in scales. Both the shipments caught in Singapore were headed for Vietnam from Nigeria. China, followed by Vietnam, is the biggest consumer of pangolins and their parts, according to Allan.